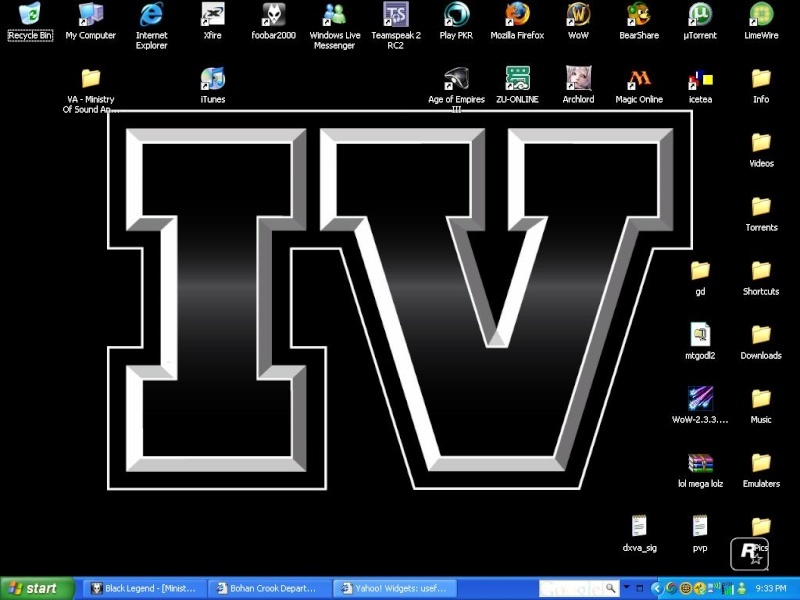 Post a picture of your desktop. To do it all you have to do is go on your desktop, hit the Prt Scrn button and then open MS Paint and hit ctrl+v and save. Then upload it to a picture sharing website, i.e Photobucket, and post it here!. Awesome dude. Where did you get that GTA countdown gadget for the sidebar? Cool, I'm in. Just need to upload. you guys use vista? was it preinstalled or did you install it? I have Vista Home Premium. It was pre-installed. naah.. i don't use that stupid resource hog i'll probably install it on the laptop i'm getting soon. I had a background, but it disapeared mysteriously.